ed on War Bonds and worked with the USO . She was part of the WAVES and attained the rank of Yeoman First Class. She was discharged from the Navy in 1946 and returned to Evansville where she raised six children and was a member of the American Business Women Association, Moonlight Chapter. She was a former member of Good Shepherd Catholic Church and St. Joseph Catholic Church in the City. For the last 14 years, she attended church at Little Sisters. 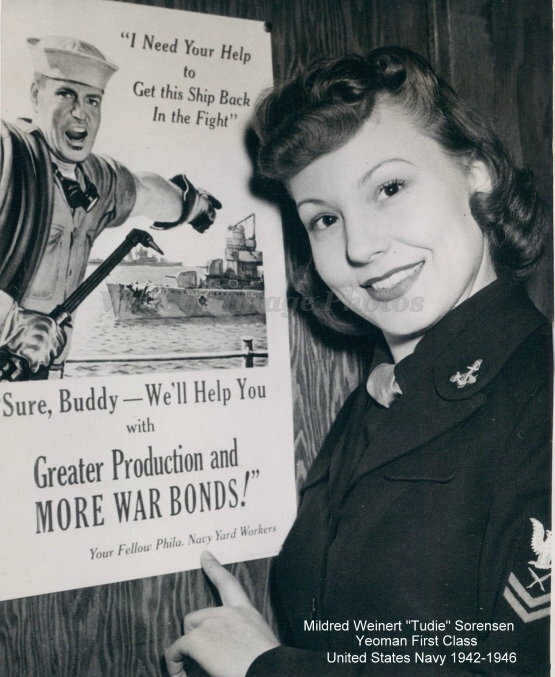 Yeoman First Class, Mildred Weinert "Tudie" Sorensen died in 2013 at the age of 91.